A fun painting tutorial using matte and gloss paint. An easy DIY technique that would be great for a bedroom, bathroom or any room in your house. 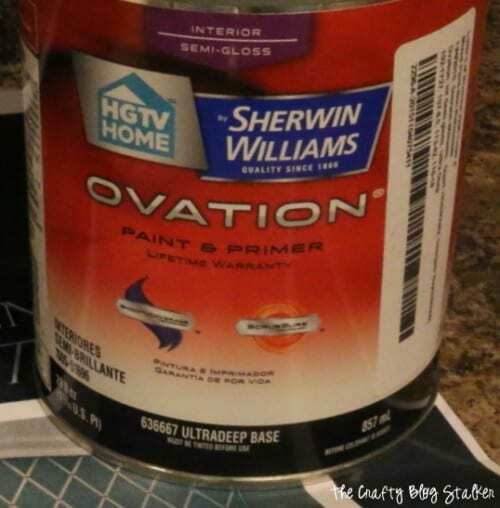 I received complimentary HGTV HOME by Sherwin-Williams paint and Purdy Painting supplies for this post. All opinions are my own. I just love a fresh coat of paint. It is a new beginning. Covering up the old and ugly and creating something new and beautiful. When we moved into this house I knew exactly what I wanted to do with our back entryway that is off of the garage, but as you can see, it kinda of became the catch all room. Where everything was tossed and forgot about. 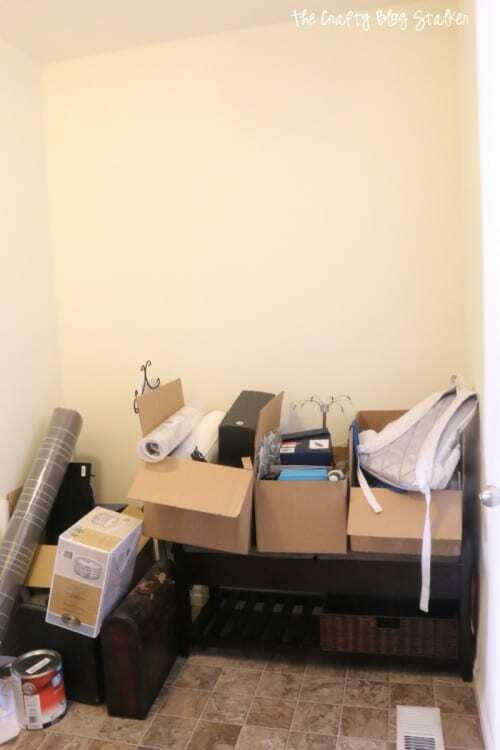 There were even a couple boxes that still needed to be unpacked, and we moved in July of 2014! The time has finally come for me to get off my fanny and get this room done! Plus, the holidays are here and I am kind of embarrassed to have my guest walk through this room into my home. So it is definitely time to get it done. 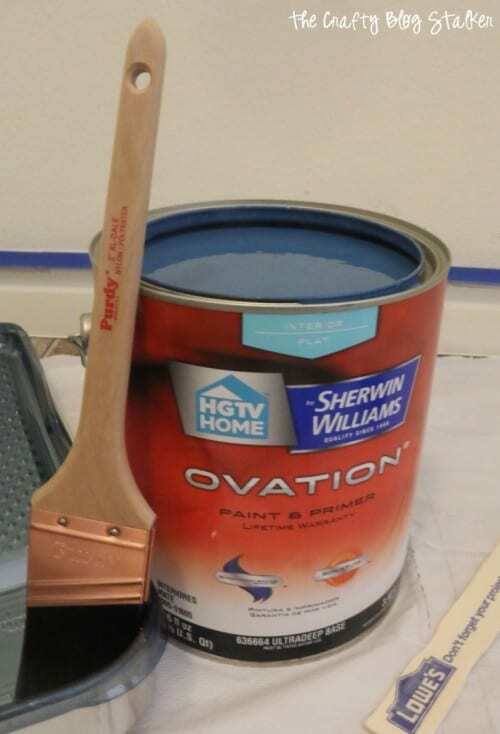 Sherwin Williams and Purdy have come to the rescue! 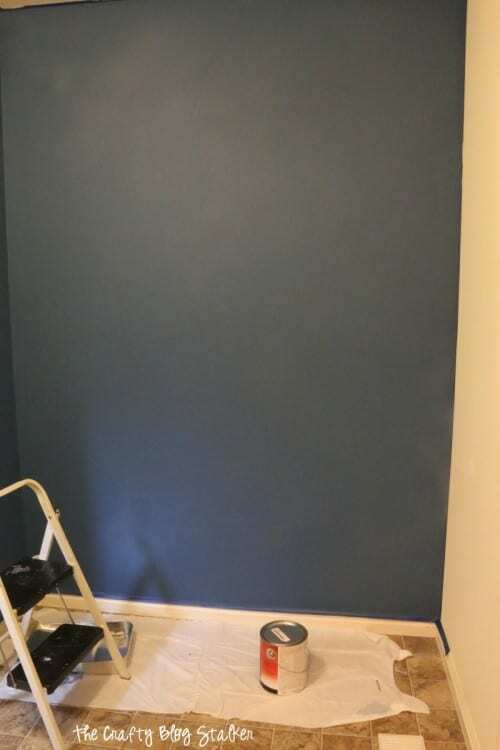 For the paint, I used HGTV HOME by Sherwin-Williams Ovation in the color of Georgian Bay. I got 1 gallon of Flat and 1 quart of Semi-Gloss. I am going to do a fun color on color pattern. 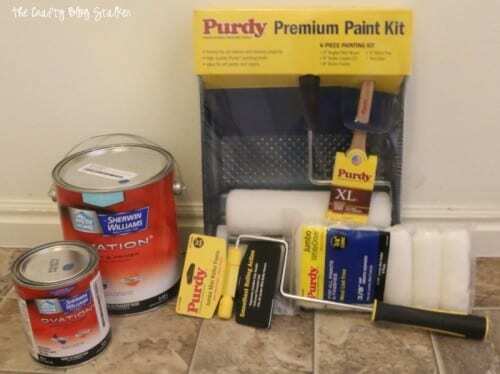 From Purdy, I received the Premium Professional 6 Piece Kit, Mini Rollers and Frame. Now I’m ready to tackle the entry way. 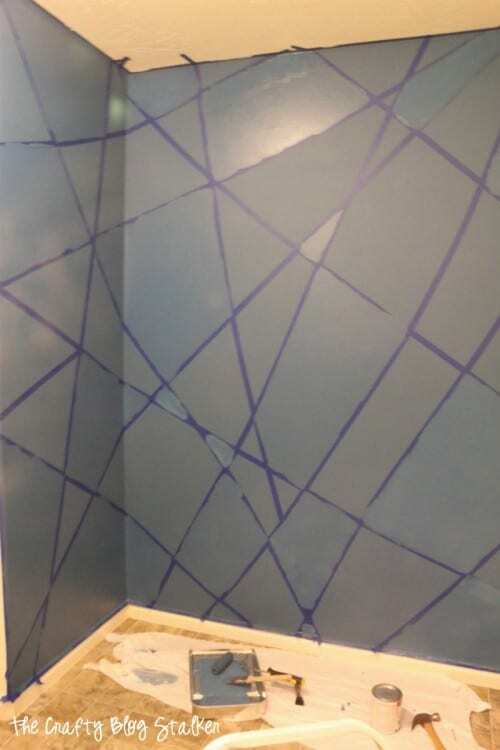 Before you paint, you must prepare your area and tape off. 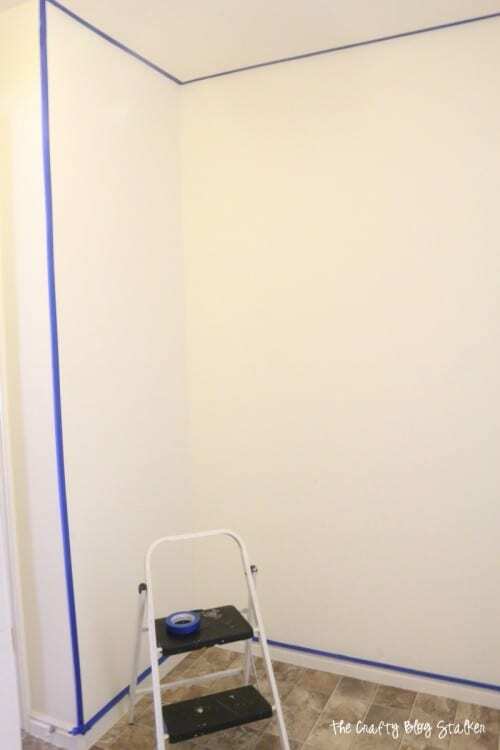 I am only painting a two wall corner, so the area didn’t need much prep. I was basically left with a big square as my canvas. I started by painting around the edges where I knew it would be more difficult for the roller to get. Then, of course, I had to write a message on the wall! Do you do that too when you paint? The rollers painted the wall so nice. Since the paint when on so nice, and covered well, the walls only needed one coat. I love that! 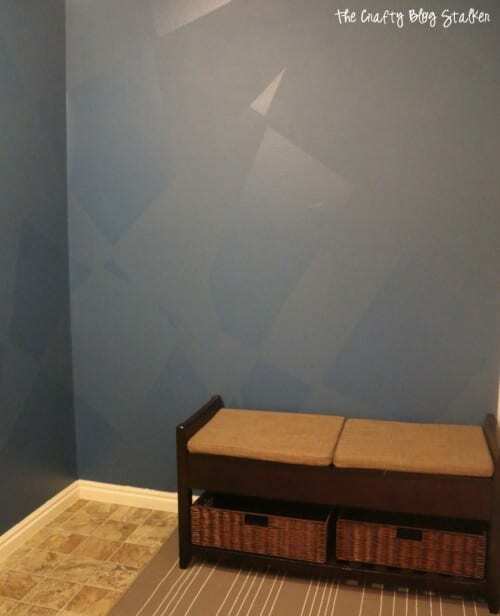 I had originally thought of doing a stencil on my walls for the pattern, but I decided I wanted to keep it super easy, so instead I used strips of painting tape to create my template. 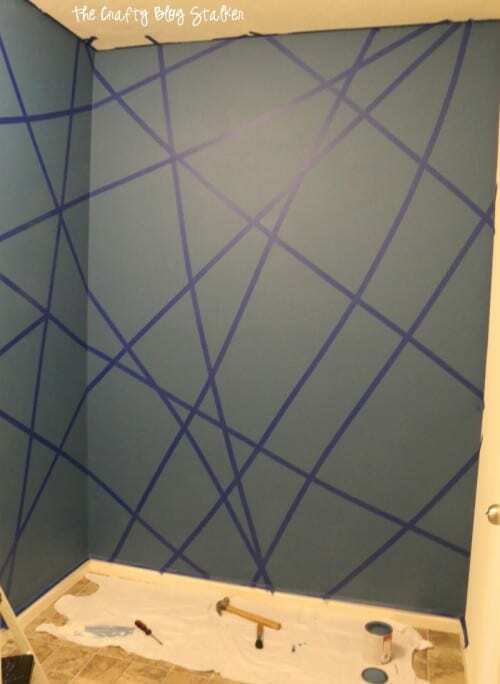 There was no real pattern or method that I followed, I simply added tape in straight lines across the walls making triangles and different shapes. This is where the Semi-Gloss comes into play. I only painted some of the shapes, again trying to keep it random. 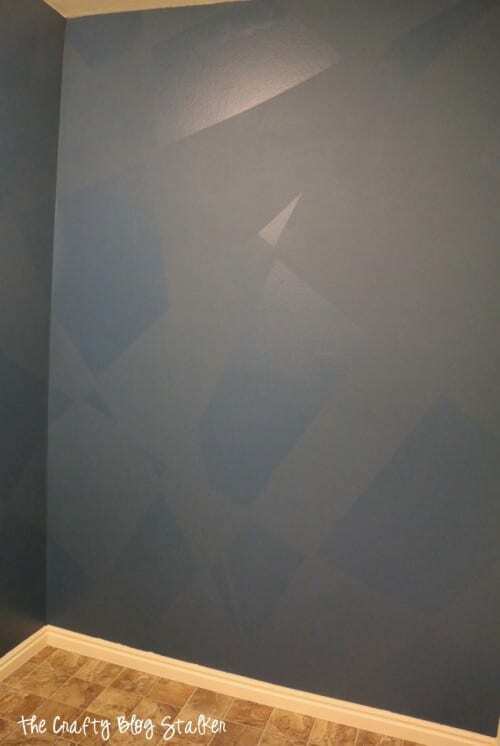 After the paint dried, I removed the painter’s tape and was left with a totally awesome color on color pattern on my walls. I love how it turned out. 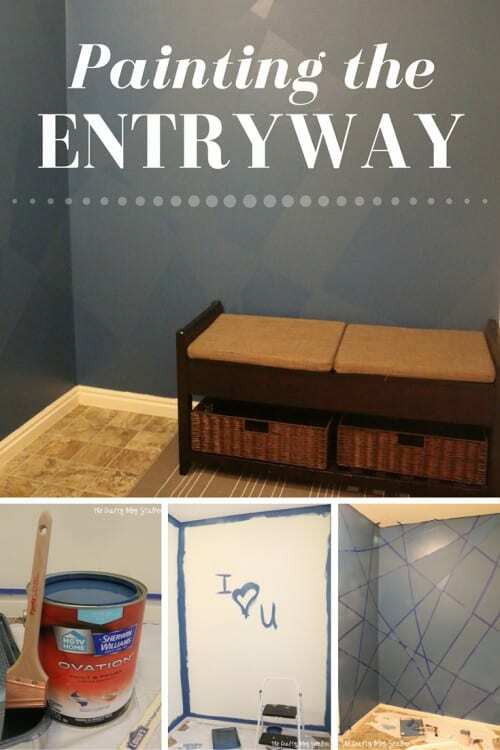 Here is the start of my entryway, I have a few more fun things planned that I will share in future posts. What color are you wanting to paint and where? Share and leave a comment below. 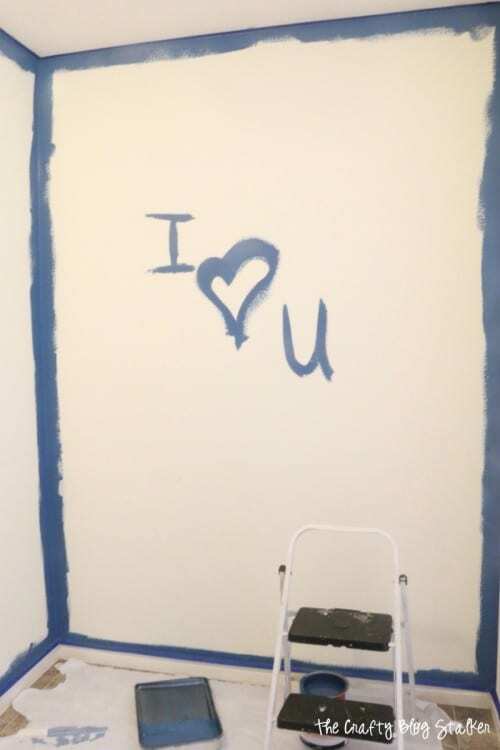 If you liked this post you can find more DIY ideas in my Wall Paint Gallery. I dig the color choice AND the texture you gave it with the semi gloss. Very cool. So let me understand, You did one part in gloss and the other in semi gloss, or was the other in matte? I can definitely see the difference and it’s really cool because it;s so subtle.